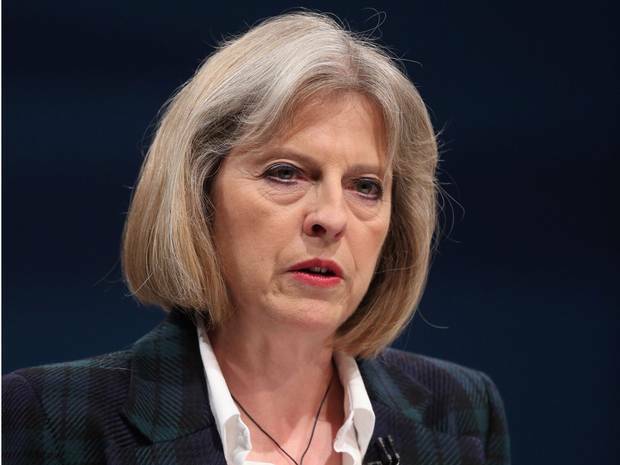 The Home Secretary today announced the Government’s new counter-extremism strategy after the weekend papers reported on disagreements between the Coalition parties about how far restrictions on free speech should go. The new strategy presents a number of important questions about the effectiveness of the Government’s approach, past and future. Perhaps most disturbing in the process to enact the Counter Terrorism and Security Act and the new Prevent Guidance has been the speed with which the legislation has been passed and the guidance approved. The fast-tracking of legislation and the rush to introduce guidance before the end of Parliament’s term is evident in the raft of measures which are only likely to exacerbate the problem of extremism than diminish them. There is an irony in praising democracy as a fundamental British value while riding roughshod over it by passing legislation at breakneck speed with no legitimate room for debate and challenge! The Government repeats the centrality of “British values” to its approach to tackling extremism and calls for “a partnership” between civil society and government to give extremists no succour and no platform to espouse extremist speech. The Government also claims to take all forms of extremism seriously though the bulk of the Home Secretary’s speech focuses significantly on ‘Islamist extremism’ and very scantily covers far right extremism though many of the measures proposed would address the same; far right groups using hotels and other venues to gather, far right extremists in the education sector etc. It beggars belief, in light of the committee’s admission, and that of Education Secretary, Nicky Morgan, that the new counter-extremism strategy should single out the ‘Trojan horse’ incident as indicative of the challenges faced. The Home Secretary said, “We have seen the Trojan Horse plot to take over state schools in Birmingham” though the “plot” has been declared a sham idea. The Home Secretary appears to have conflated a number of unrelated and unsubstantiated problems while laying down the new rules that will apply. For example, in a speech about counter extremism strategy she speaks of “honour based violence” and shari’ah tribunals as “being used to discriminate against women”. Gender based violence is a major problem no doubt, but if honour based violence is relevant to counter-extremism why not domestic violence, unless the implicit assumption is that Muslims alone engage in honour-based crimes. On shari’ah tribunals, the Home Secretary addresses the question of gender discrimination but takes no account of the number of Muslim women who freely choose to avail themselves of these arbitration and mediation services. As with her reference to “Segregation by gender allowed at universities and even endorsed by Universities UK”, the Home Secretary is less inclined to give women the right to choose their avenue of legal redress or seating preferences. It seems paradoxical in a speech that praises the modus vivendi as “everybody is free to lead their lives as they see fit” to then dictate where women should sit and why. The Home Secretary further points to “religious supplementary schools” and the need to safeguard children in these environments, which is a laudable endeavour. But less so when little is actually known about them and as much as is available in the public domain is driven by a biased media discourse. The most worrying aspects of the strategy are the indication of patent failure of the counter-terrorism strategy to date and the impending failures of the doomed measures announced today. In a move that is likely to see tiers of British Muslim citizenship emerge anew, the Home Secretary has announced that the new “Extremism Analysis Unit” will “set out clearly for the first time which individuals and organisations the government and public sector should engage and should not engage”. While Baroness Sayeeda Warsi has been careful to illuminate the “trust deficit”that has developed between Government and British Muslims, the current proposals are more than likely to widen that deficit. The Home Secretary states these unwelcome persons are the “self-appointed and unrepresentative community leaders” and yet the Government’s dealings to date have been with precisely such groups; Quilliam Foundation and Inspire – self-appointed and unrepresentative, each of them. More representative organisations, like the Muslim Council of Britain, have been out in the cold for some years now as the Conservatives, on coming to power in 2010, swapped one set of partially representative bodies with bodies that are entirely unrepresentative of British Muslims. Again, a great demonstration of upholding the fundamental British value of democracy a foundational principle of which is the freedom to associate. And perhaps this is how the Government not only hopes to play it, but hopes to condition it with the Home Secretary further suggesting that the “Extremism Analysis Unit” will include a “counter-entryism strategy” that will “ensure that government, the public sector and civil society as a whole is more resilient against this danger”. The plan has echoes of a leaked document by the Quilliam Foundation in 2010 which drew up a list of organisations that Government should not, in their view, engage with. We can merely expect the same McCarthyite witch-hunt to return and resume. Just how the Government expects to foster a sense of inclusion and, more significantly, democracy, which involves engaging with people you disagree with, remains to be seen but the present bodes ill for the future. Theresa May’s speech has a touch of Blair’s speech on the “duty to integrate” with some focus on the rights and responsibilities of citizenship but nowhere in her speech, as with Blair’s selective blindness will you find admission of the failures of Government policy in creating the vacuum that violent extremists have readily filled and exploited. May talks about the support Government will give to civil society organisations “who want to fight back against extremism online”. The Prevent strategy has supposedly been doing this for some time with the annual reviews making mention of the “UK Counter-Narrative Campaign, a project to establish a loose network of credible community groups able to directly challenge terrorist propaganda”. Needless to say, our request under an FOI of the names of civil society organisations that were being supported in this work was denied. And if the present climate of around 700 young people having allegedly travelled to Syria and Iraq to join ISIL is anything to go by, the Government’s favoured interlocutors have been failing miserably despite the support of the state. Theresa May wants counter-extremism to be a “partnership” between Government and civil society – from the way the present Government has gone about engaging with Muslim communities it has few allies, much less partners, in what is too important an area of national policy to be left to the ideological battles waging in the Conservative Party. Muslim voters take heed – the election will be about more than just electing a new Government. It is a choice between the “overhaul” of Prevent which Ed Miliband has suggested Labour will support revising the strategy towards a more “community-based approach” and the acceleration of a McCarthyite strategy to fashion a vapid, pusillanimous Muslim identity that cannot, for fear of retribution, speak truth to power.